Open Data Day 2019 is closer each day and we’re excited to see the ODD events map slowly coming together in different parts of the world! International Open Data Day (ODD; #OpenDataDay) is an annual event that promotes awareness and use of Open Data all over the world. Different communities of practice keep creating local events on this day. As always, during ODD, the international community expects to gain momentum and highlight the different uses that Open Data can have in different contexts. 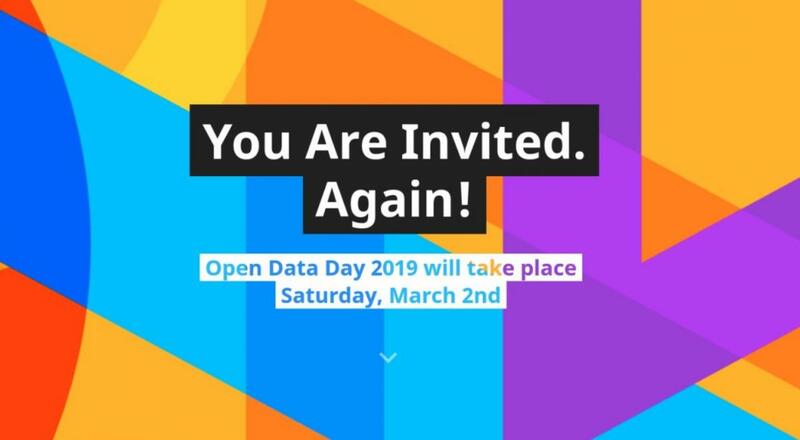 For the ODD 2019, which occurs on the 2nd of March, two new organisations will support Open Data Day events: the Latin American Initiative for Open Data (ILDA) and the Open Contracting Partnership! During the ODD, ILDA will provide funds to support specifically events that take place in countries in Latin America, without specific track limitation! A mini-grant is a small fund of between $200-$300 for groups to organize Open Data Day events. Event organisers can only apply once and for just one category, so choose well. To all grants: Only civil society actions can be supported. Governments are encouraged to find their local groups and engage with them! For all tracks applications from groups and organizations in the global South will be prioritized. The deadline for applications has been extended for 10th February, 2019! By making Your Voice heard, You will bring even more life to the upcoming exciting ODD events! If you have any questions, you can reach out to the Network team. There’s also the Open Data Day google group, where you can connect with others interested in the events! Readying Your University to Open Data Compliance (recorded GODAN Webinar, Youtube). The session began with an explanation of Presidents United to Solve Hunger (PUSH) and definitions of open data. Then Utah State University representatives described their policies and guidance to help faculty comply with funders’ Data Management and Open Data requirements. E-consultation archive on ethical, legal and policy aspects of data sharing affecting farmers (FAO e-agriculture). Check this summary also in PDF version. On 4 September 2018, a group of national research funding organizations, with the support of the European Commission and the European Research Council (ERC), announced the launch of COAlition S, an initiative to make full and immediate Open Access (OA) to research publications a reality. It is built around Plan S, which consists of one target and 10 principles (Science Europe, 2019). The target is: "By 2020 scientific publications that result from research funded by public grants provided by participating national and European research councils and funding bodies, must be published in compliant Open Access Journals or on compliant Open Access Platforms"
Did you know that the FAO of the UN AGROVOC multilingual thesaurus has been released as Open Data set for re-use as a Linked Open Data under the international CC-BY IGO 3.0. license? You are invited to contribute to expansion of the AGROVOC knowledge base!